Friday nights, sunsets, views of the hills, and some really nice vino, all just ahead. Barnsdall Art Park Friday Night Wine Tastings: How long does a seasonal event have to stick around, and how beloved must it be — a quality we can't exactly measure with a Beloved-o-meter, though invent one, we long to do — for the event to be deemed a SoCal staple? There's no hard/fast rule here, but this summertime sip shebang, which'll run every Friday evening from May 25 through Aug. 31, 2018, is as sweetly staple-fied as things come 'round these parts. 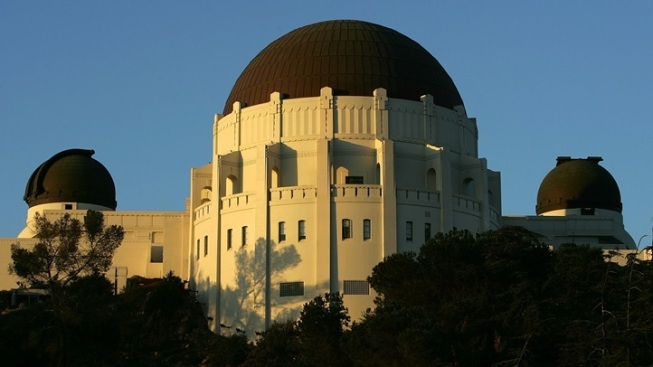 The Barnsdall fundraiser kicks off on May 25 with a cameo from food legend Jonathan Gold, and a line-up of libations from Silverlake Wines (and, yeah, food trucks, too). Free Friday Night Concerts... at the Original Farmers Market? It's hard to make a perfect place even more perfect, but these shows do have a winning way. They'll run each Friday night, starting on May 25, right through to Aug. 31, they'll rock the landmark's west patio, and they'll keep the tunes flowing from 7 to 9 o'clock. On the 2018 schedule? Tom Kenny and the Hi-Seas, Bad Haggis, Nutty, Louie Cruz Beltran, and several other bands and artists will get people dancing, clapping, heading to The Gumbo Pot for another round of beignets, and, most importantly, loving summer and the sweet, free scene. Taste of Brea: A special, tidbit-filled festivity on a Thursday night? One that's devoted to the dining of a particular and particularly tasty swath of Southern California? It can feel as though summer is already here. So put your summeriest duds and head to the downtown area of Brea for bites galore. You'll want to purchase a wristband before snacking around the Thursday, May 24 to-do, so get up on what you need to know before hopping from booth to booth, dreaming of what dining find'll be next. Special Fan Event: If you had the opportunity to snap a photo with Chewbacca, would you board the nearest ship and travel light years to do so? Probably, we'll guess, since there is no cooler Wookiee around. But you won't need to travel the cosmos to find such a fanciful photograph, not if you attend the Opening Night Fan Event for "Solo: A Star Wars Story" at the El Capitan Theatre in Hollywood. Chewy himself will be there for snapshots, and costumes and props from the film will be on display. So when do you have to get your best outfit cleaned by? For surely you'll want to pose with Chewbacca in your best outfit. The date is Thursday, May 24.